Following the new regulations put up by the Chinese government which mandates that the cloud services operating in China should be operated by Chinese companies, Apple sent emails to its users informing that their iCloud data was being moved to the state-owned Guizhou-Cloud Big Data (GCBD) servers. 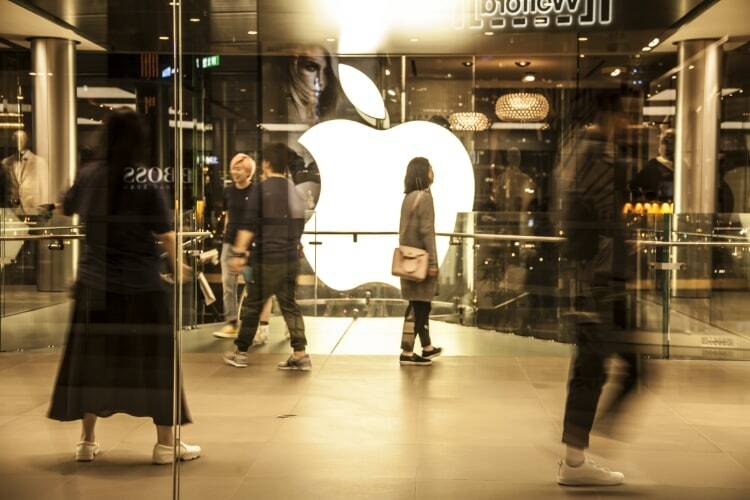 However, apart from sending the emails to users whose Apple ID country is set to China, the Cupertino tech giant also sent emails to some US Apple ID users. Naturally, there was a lot of uproar among the users who receive those emails, as quite frankly, no one wants their data to be saved on Chinese state-owned servers. “The operation of iCloud services associated with Apple IDs that have China in their country or region setting will be subject to this transition. You will be notified of this transition via email and notifications on your devices. You don’t need to take any further action and can keep using iCloud in China. However, users were still not satisfied with Apple’s response and hence, in a separate email send to users, reported by TechCrunch, Apple explained that the emails were sent because of an error and non-China Apple ID users don’t have to worry about their data being migrated to Chinese servers. You can read the content of letter which is attached below. 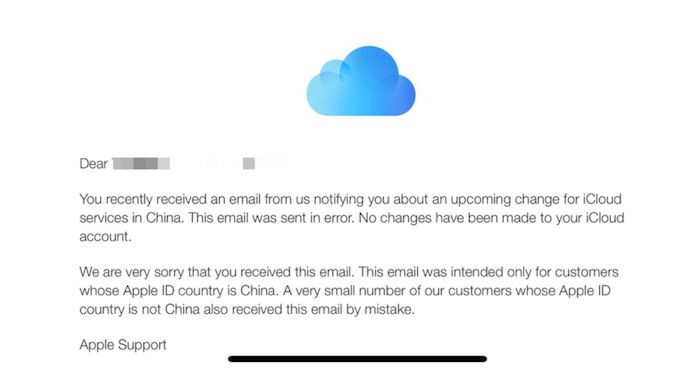 As you can see, Apple acknowledged the fact that the previous email detailing the migration of their Apple ID was only meant for users whose Apple ID is set to China. So, if you are one of those users, you have nothing to worry about as of right now.